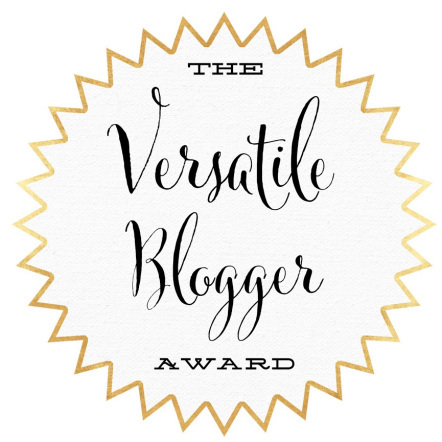 I am honored to receive the nomination for ‘Versatile Blogger Award’ by Passionate Mom Honey Bee. I have been blogging for just over 2 months, it makes me so happy that there is a reader who thinks my blog is worthy of nomination. Go check out her blog and learn more about awesome Indian and Sri Lankan cuisine. 1. Thank the person that has nominated you. 3. Nominate 15 blogs of your choice. 4. Link your nominees and let them know of your nomination. 5. Share seven facts about yourself. 1. I cannot ride a bike. 2. I hardly ever wear flat shoes. 3. I am really good at walking in high heels. 4. I have been learning Italian for a few months, and finding it very difficult. 5. I hate getting wet. So I carry a small umbrella with me all the time. 6. When I am not eating, cooking, working, reading restaurant reviews or watching cooking shows, I do pilates, yoga and boxing. 7. If I come home tipsy at night I make myself scrambled or fried eggs and eat them with Kimch. My face gets puffy the next day but I have no hang-over. Good luck to all my favorite bloggers! You’re welcome and thanks dear!